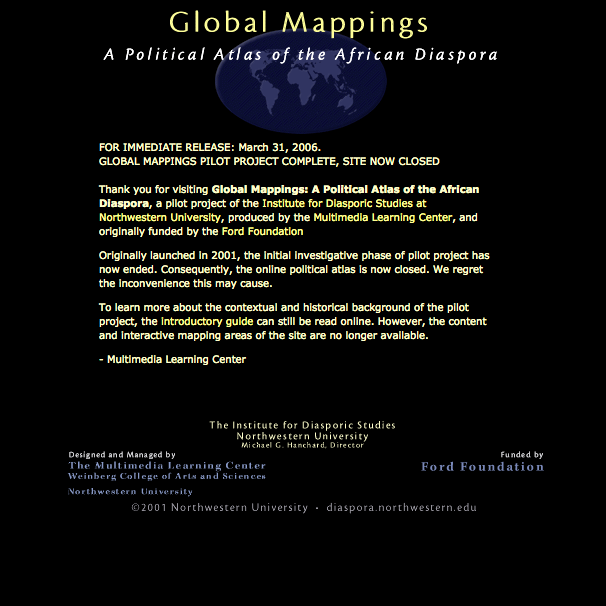 The Global Mappings site is an online, interactive political atlas which demonstrates links between transnational black politics, social movements and world historical events of the 20th century. Connections are contextualized geographically, thematically, interpersonally and chronologically through text and images. The site was developed in conjunction with Professor Michael Hanchard and the Institute for Diasporic Studies.